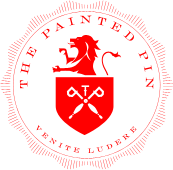 Vote The Painted Pin for Best Self Atlanta magazine's "Best of 2017" in the Best Indoor Sport/Activity category! Voting opens at noon on Monday, October 2 and will close at 11:59 p.m. on Sunday, October 15. Visit bestselfatlanta.com, click on the contest banner at the top of the page, and scroll through the alphabetized categories to find our nomination. You may vote once per email address.